Welcome to the Sycamore Ranch Vineyard & Winery blog, here is where we will be highlighting events and news from around the winery. Crestline, CA June 29, 2018 – Sycamore Ranch Vineyard and Winery placed 8 wines in the prestigious Orange County Fair Commercial Wine Competition, presented by the Orange County Wine Society. This annual competition is the largest competition dedicated solely to California wines, in the world. The winning varietals produced by winemaker Richard Krumwiede include gold for the 2016 Primitivo, and the 2016 Merlot, while silver was awarded to the 2016 Ranch Red blend, 2016 Petite Sirah, 2016 Grenache, 2016 SGM, 2017 Viognier and two-year barrel aged 2015 Cabernet Sauvignon. All wines are produced at the “Ranch” located in the San Bernardino County community of Crestline, with fruit sourced from premier Central Coast vineyards. The small, craft winery and ciderworks is situated on 3 1/2 acres of picturesque vineyards, orchards, and beautifully landscaped grounds. The “Ranch” produces about 700 cases of Bordeaux and Rhone varietals per year. 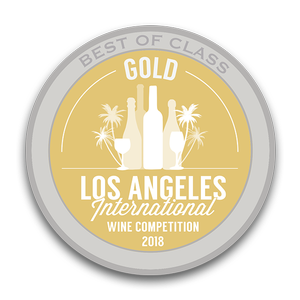 Best in Class - L.A. Gold! Crestline, CA June 28, 2018 – Sycamore Ranch Vineyard and Winery had 8 wines place in the Los Angeles International Wine Competition, held at the Los Angeles County Fairplex. This annual competition is considered one of the most prestigious and influential showcases for wineries both large and small. The winners produced by winemaker Richard Krumwiede include “Best in Class” for the 2016 Petite Sirah, 2016 Syrah, and with 94 total points the 2016 Grenache– made with grapes sourced from the Santa Ynez Valley and Paso Robles, California. Other winning entries include Gold for the 2015 Altitude 4576’ made with a co-fermented blend of Zinfandel and Syrah grapes grown at the “Ranch” estate vineyard. Rounding out the other finalists– the 2016 Primitivo scored silver, while three entries were awarded bronze including the 2016 Ranch Red blend, 2016 Merlot, and the winery’s first ever, two-year barrel aged 2015 Cabernet Sauvignon. Double Gold at the SFIWC! SRV Medals with Six of Their Wines! Well this is good news, Sycamore Ranch Vineyard & Winery, your local vintner of hand crafted wines and ciders has just been informed that it's wines have won several medals including DOUBLE GOLD for our 2015 Syrah, in the 2017 San Francisco International Wine Competition (SFIWC)! My, oh my, this is exciting news, we are all thrilled with the results. This was not a small lot or specialty winery contest- this was a "real deal" competition in the heart of the California wine industry. 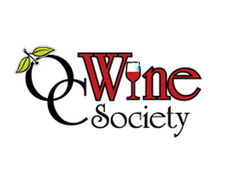 This year's competition featured more than 4,200 commercial wines from 31 countries world wide. The full listing of awards bestowed on our vintages are below, and each entry is linked to purchase on our website. They are also available at selected fine retailers or by appointment at the Ranch Tasting Room. We are so very honored to pour our Award Winning wines- just for you! DOUBLE GOLD MEDAL, 94 points, Sycamore Ranch Vineyard & Winery 2015 Syrah, Love Ranch, Madera County, USA, $35. GOLD MEDAL, 90 points, Sycamore Ranch Vineyard & Winery 2015 Primitivo, Paso Robles, USA, $35. SILVER MEDAL, Sycamore Ranch Vineyard & Winery 2015 Grenache, Windmill Ranch, Ballard Canyon, USA, $30. SILVER MEDAL, Sycamore Ranch Vineyard & Winery 2015 Premium Red Blend, Central Coast, USA, $40. SILVER MEDAL, Sycamore Ranch Vineyard & Winery 2015 Petite Sirah, El Pomar District, Paso Robles, USA, $40. BRONZE MEDAL, Sycamore Ranch Vineyard & Winery 2015 Red Rhône Blend, California, USA, $35. SRV takes Gold with their Signature GSM Rhone Style Blend. Winemaking is a marathon and not a sprint, sometimes the results can be months or years in the making. We have methodically built up our knowledge and skills to craft wines of exceptional taste. Nothing says job well done more than recognition from our peers. In our first year competing as a licensed winery, we received a Gold, three Silver and three Bronze medals at the Orange County Fair Commercial Wine Competition. You can view the official notification here. We are pretty proud of our achievements and hope that our efforts can win the most important prize of all- making great memories with our customers. You can make purchases of each of these wines here on our website, or if you are feeling adventurous, the tasting room and winery are available by reservation. Give us all call, let’s spend some time together enjoying hand crafted, award winning SRV wines. Hello, and welcome to the NEW SycamoreRanch.com! Our new website is just getting started. Features include event calendar, special events notices, photo galleries, stories about the winery, vineyards and most of all the new site allows you to purchase wine directly from SRV from the comfort of your home or office. Whether you are just finding Sycamore Ranch Vineyards & Winery or if you are a seasoned "Ranch Hand," we want to welcome you to the newest venture. It's been a long, but satisfying journey from our humble beginnings to being a fully licensed and bonded winery. It is our sincere wish that our dedication to craft, and attention to detail will be evident to every one from the home page of the website to the first sip of our hand crafted wines and hard ciders. Take a peek around, contact us for a tasting visit or peruse our ever expanding portfolio of Rhone and Bordeaux varietals. As winemaker and proprietor, I look forward to pouring for you and hope to see you many more times in the future.